-Fixed Synology NAS WebDAV support. -Now it looks much better with the OS X Mojave Dark theme. -Fixed, selecting a folder in the path control did not work for Amazon Cloud. -Added 2 factor authentication for Mega. -Fixed Mega can not login in some accounts. 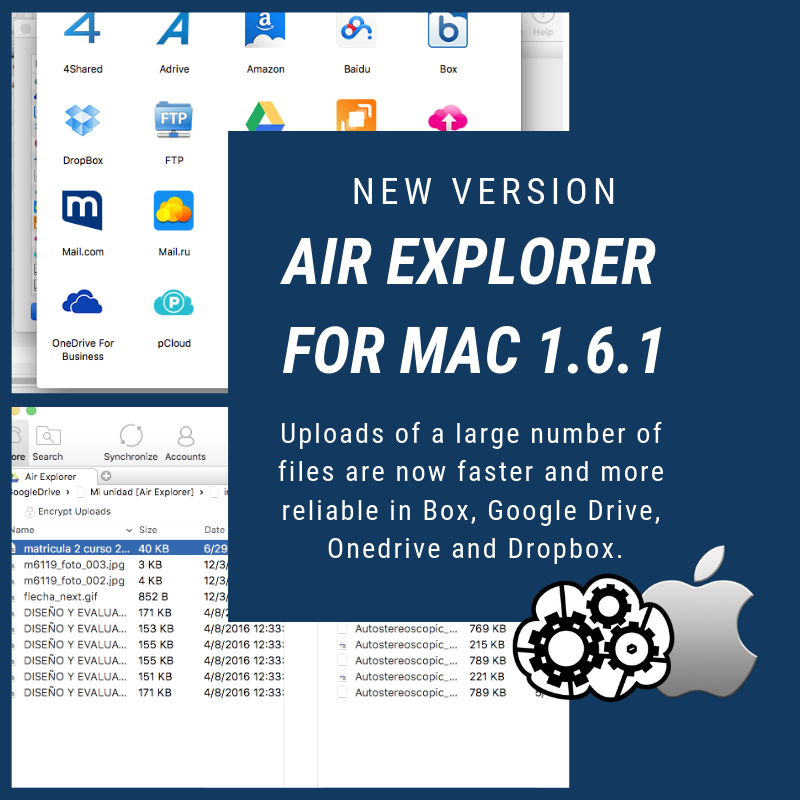 -Uploads of a large number of files are now faster and more reliable in Box. -Fixed uploading some files to Box did not work. -Exponential backoff retry control for Box. -Reduced the number of API requests in Google Drive. -Reduced the number of API requests in Box. -Reduced the number of API requests in Dropbox. -Reduced the number of API requests in OneDrive. -Better handling of 403 errors on Google Drive. -Folder structures are created faster on Google Drive. -Use less API requests when uploading a large number of files on Box. -Better handling of uploading a large number of small files to Dropbox. -Better error reporting of uploads and downloads. This entry was posted in version and tagged box, google drive, mac. Bookmark the permalink.